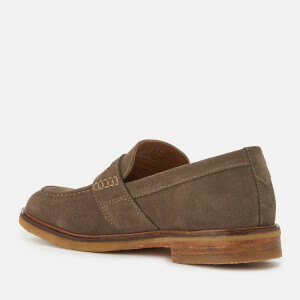 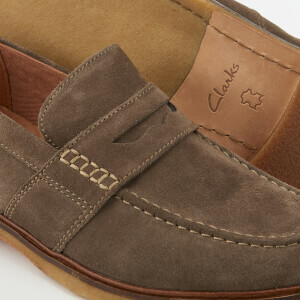 Men’s ‘Clarkdale’ suede loafers from Clarks. 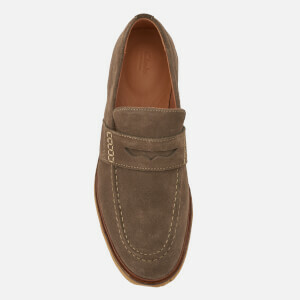 Crafted from a luxurious olive suede, the shoes showcase all the hallmark features of the classic design with the high cut, chunky stitched detailing and the strip across the vamp. 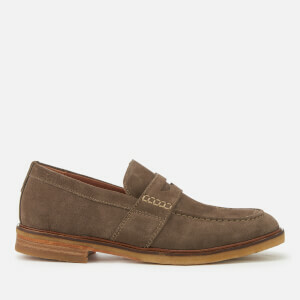 The loafers are set upon a thick leather sole for maximum comfort and durability.